It’s election night and I’m sure I’m not the only one will be glued to the TV to watch the results come in. 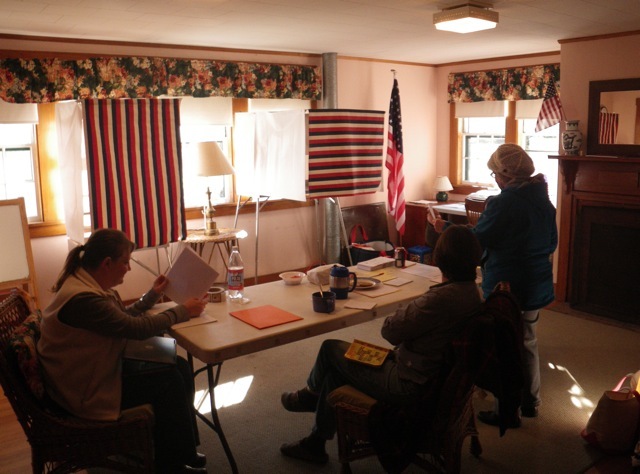 In the Town of Cranberry Isles we have two polling places: The Neighborhood House on Islesford, and the Community Center on Great Cranberry Island. I’m not sure of the actual number of registered voters, but I think it’s around 130 for our 5 island town. When I arrived at the Neighborhood House to vote this afternoon, there was no line. My cute little mother-in-law was there at the same time. After announcing our names, and being checked off the voter list, we were given our ballots and we stepped into the voting booths. Ann stood in the booth with the vertical stripes, so I occupied the booth with the horizontal stripes. If a third voter had shown up at that moment, they would have been the island version of a waiting line. I asked how the turnout had been so far and learned the day had been busy. Plenty of voters and 42 absentee ballots. 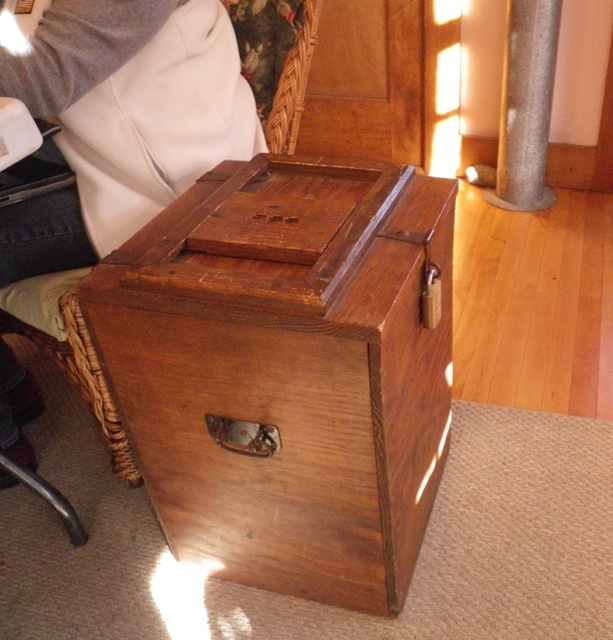 I wish we still had the old wooden booths that we used to use to vote. They had great doors with springy hinges and they felt solid. I’m not sure when the old booths were built, but when you stepped inside you had a sense of connecting to history. Among the “modernized” accoutrements of the island polling place there is still one connection to the past. Bruce stopped in to vote before coming home from a day of hauling traps. In his lunch pail, he brought home two of these guys for dinner. Most any day I will say I love where I live. Today, especially, I felt privileged to live in this island community in a country where I have the freedom to vote. Oh how great! 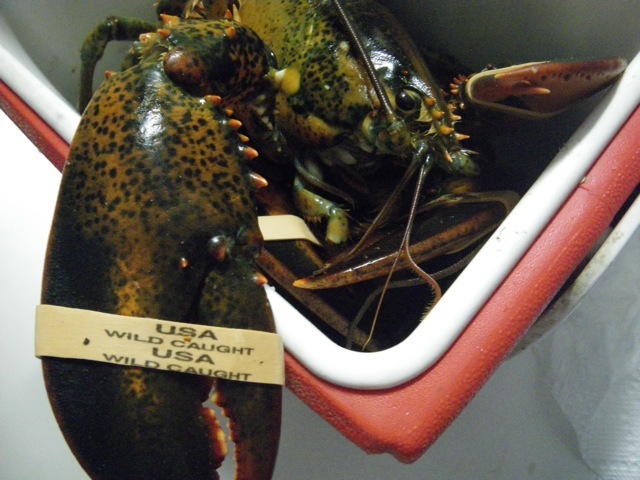 And lobstahs to celebrate! What a great celebratory dinner! Late but happy night here!!! Stayed up way too late last night. I am so proud of the voters in Maine!